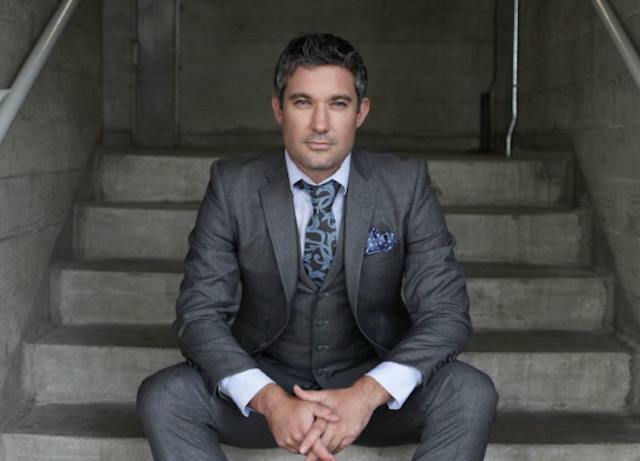 31 Aug Style tips from our Ambassador Stephen Handisides…. BATHROOM BASICS – YOUR 10 MINUTE GROOMING GUIDE FOR THE MODERN MAN. Ahhh…the mysteries of the bathroom! Have you ever wondered what girls do in the bathroom for hours on end? These exotic creatures disappear in and come out, what seems like hours later out looking primped and preened to perfection. Well in this issue I am going to give you the low down on Bathroom Basic’s. How you can look your best without the hours of maintenance that the girls put in! With this daily 10minute routine, you’ll be looking sharper and smarter and it won’t cause a domestic over you hogging the bathroom. Hair on top – rinsing off in the shower does not count as washing your hair. Make sure you shampoo and condition at least every other day and shampoo every day if you’re a tradie, for fresh, glossy locks. You don’t need to spend a fortune on expensive salon brand’s, a good supermarket product will work just fine or try a 2 in 1 shampoo and conditioner. Pick products that are designed for your hair type, dry, greasy or normal or dandruff control. Sneaky tip, it’s fine to use her shampoo too, women’s shampoos contain the same basic ingredients as men’s, as long as it doesn’t smell too girlie! Shower – Don’t just stand under the water half asleep. Wash yourself with soap or a shower gel, use a shower mitt or wash cloth to build up a good lather and exfoliate away dead skin cells. You need to wash away all the dirt and oils that have accumulated throughout the day or overnight. After you’ve rinsed off, finish with a burst of cold water, it will wake you up and close the pores of your skin. Face – Use a facial wash for men, or if you’re old school, a bar of soap, although some non-facial soaps can be quite drying to the skin. If you have dry skin, opt for a non-soap cleanser or dry skin facial wash. If your skin is oilier, try a wash with salicylic acid. It helps to unclog pores and degrease the skin. Concentrate on the T-Zone, nose and forehead as this is where your oil glands are and tend to be the greasiest. Once a week, use a gentle facial scrub to gently buff away those dead skin cells, leaving you with a bright and invigorated complexion. Facial scrubs can really help if you are prone to ingrowing hairs from shaving as well. Shave – Shave in or just after a shower, the hot water softens the hair and opens the hair follicles for a closer and easier shave. Always use a shaving cream or oil. Use a shaving brush, to create a rich lather and raises the hairs. Go with the grain for less irritation, you can always go over twice for a really close shave. Make sure the blades in your razor are sharp, or you’ll end up with bits of bloody tissue stuck to your face. After shaving, rinse with warm water and pat dry with a clean towel. Finish off with your signature aftershave lotion, to replace moisture and sooth the skin. On a side note, unless you are a professional cyclist or swimmer, please don’t shave your legs! I don’t care how on-trend you are, it’s just wrong. Excess Facial Hair – Thick manly brows can look great, but a monobrow doesn’t look good on anyone. Your face caterpillars are easy to maintain. Do it after the shower, but before you moisturise, or the hairs will be slippy. Get some tweezers and just pluck the middle between the eyes, and the odd stray under and above the brow. Don’t over-pluck, just do the main areas where you have excess hair. Big eyebrows aren’t a problem, it’s when they start to meet in the middle that you’ve got an issue. Nasal and ear hair is unsightly too and can easily be trimmed, nasal hair trimmers will make that tricky job, a breeze. Short and Curly’s – Man keeping your short and curly’s is perfectly acceptable in this day and age. Just ensure it is neat and tidy. Trim your underarm’s and nether regions, but please do it very carefully! Skin – Once you’ve washed your face, shaved and plucked, MOISTURISE. It is one of the key things that men shy away from. Moisturising keeps your skin hydrated, slows ageing and helps protect against skin damage. Experiment with different products and try a few different brands until you find something that you like and that suits your skin. You can even buy complete skincare kits such as ULTRA for Men – Essential Skincare program. A moisturiser with a sunscreen is a good idea in Australia especially. Finish with a slaver of Pawpaw ointment or SPF lip balm on your lips, this will prevent cracked sore lips in winter and in the hotter months. Teeth – Any dentist will tell you it’s good to floss. Try to floss between your teeth at least once a day before brushing. Then brush your teeth for about two minutes, and include brushing your tongue. You can use a manual or electric toothbrush, they will both do a good job as long as you brush thoroughly. Finish with a mouth wash for an invigorating fresh minty breath. Try to visit your dentist every 6 months. A good teeth cleaning routine will help to prevent gum disease, tooth decay, keep your smile sparkling white and can help combat halitosis. Eyes – too much caffeine, alcohol, smoke and too little sleep can make your eyes look scary. Clear eyes or eyedrops can help. With eyes prevention is better than the cure, so try drinking lots of water, eating healthy and getting plenty of shut eye, to keep your eyes clear and bright. Hair – When it comes to doing your hair, style it before you add any product. This is going to prevent over use and that hard shell look you see so many of your mates sporting. Whatever amount of product you’re using, halve it, sometimes less is more. You can always add a little bit extra if you need. Visit your barbers every 4-6 weeks to keep your hairstyle looking tip top. Hands and feet – Use a nailbrush, to keep your fingernails clean and nail clippers to keep them short and neat. Clean hands are pretty basic really! If you suffer from painful, dry and cracked heels use a paddle foot exfoliator in the shower and then a heel balm every night. If you do this for a week it should heal up. To Finish – Finish up with a quick spray of antiperspirant deodorant, but make sure it’s antiperspirant, plain deodorant will just mask the odour and won’t stop sweat patches. Then some aftershave and your good to go! Pick your signature scent and aim for a deodorant and aftershave with similar or complimentary fragrances so that they are not competing. Lastly, some things are best left to the professionals. You wouldn’t try changing the engine in your car by yourself, the same goes for a few male grooming essentials. Waxing your chest, back, sack and crack, don’t even go there! I guarantee it will all end in tears. Another one is dying your hair. Those subtle blonde highlights may just turn out green and touching up those greys, leave it to your hairdresser. You can bet Warnie and George Clooney do. Bathroom cupboard – I’ve put together your essentials bathroom shopping list, with some of my favs. You only need a few basic products in your bathroom cabinet, to keep you looking sharp. Don’t be afraid to try lots of different brands until you find your favourites. Shaving Cream – Authentic No.10 Finest Shaving Cream is my go to! Aftershave balm – Any Truefitt & Hill products. They have 211 years of grooming tradition and they are used by Royalty. Stephen Handisides is an international TV presenter, model, journalist and an all-round expert on Aesthetic Beauty and Male Grooming. Stephen is the host of ‘The Modern Face of Beauty’ series which will be broadcast on 52 local and national television networks in the US reaching 44 million households. He is regular expert commentator in the UK on ITV’s This Morning, GMTV, Lorraine, OK! TV, Five, Sky News, and BBC radio. Stephen writes for over twenty major newspapers, trade and consumer magazines, with five regular columns focusing on the trends in lifestyle aesthetics and male grooming. He also hosts and produces Sky TV’s MyFaceMyBody and is the brains behind the Global Aesthetic Awards, held in London, LA and Sydney.